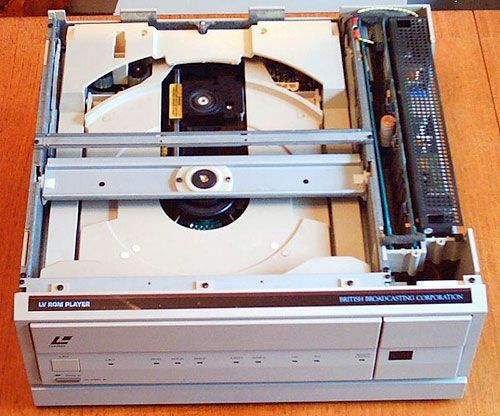 This project was started when I received an old LV-ROM player (a special Laserdisc with a SCSI computer interface) from a friend. 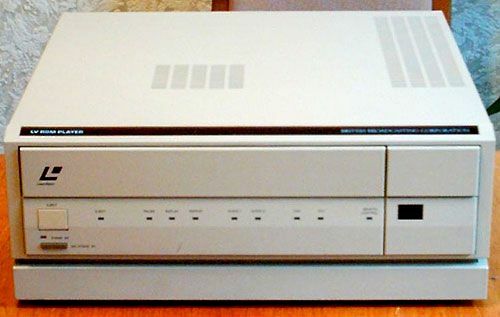 The video signal is stored as a FM signal and the audio signal is either stored as a FM signal or as a digital signal in the Laserdics. 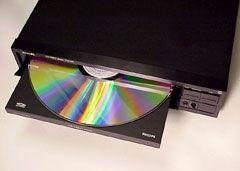 This player only supported analog sound, so the newer discs with digital sound could not be played by this player. Fortunate, this player had also a LV-ROM decoded build in. This decoder decodes the RF-signal from the laser pickup. Since no digital audio was supported by this player, I had to add this feature to the player. Fortunate, this player had a special LV-ROM decoder build in. 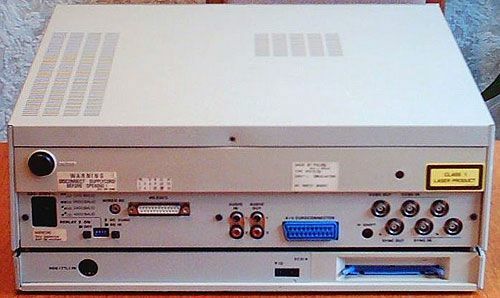 This decoder decodes the RF-signal from the laser pickup to a digital signal. This digital signal seemed to contain the digital audio signal also. I designed and build a converter which converts the digital signals from the LV-ROM decoder to the appropriate I2S signal, which could be fed into a DAC. This decoder and DAC worked very well. Now it was possible to watch 'The Hunt for the Red October', the only disc on Laserdisc I have, in supperb audio and video quality, many years before the word 'DVD' was invented. Unfortunately, Laserdiscs are not available anymore in The Netherlands (the last shop in Rotterdam quit selling these discs). A year ago, the player itself even broke down.